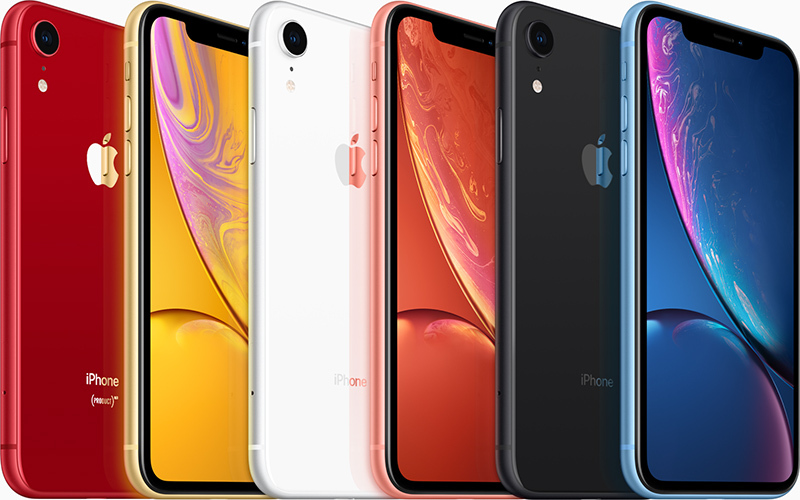 Apple plans to discount the price of iPhone XR models in Japan by offering subsidies to Japanese carriers, according to a new report out this morning. The Wall Street Journal said the price decreases on the $750 iPhone models could come as early as next week, citing sources familiar with Apple's sales strategy in the region. "A price cut within a month off the release is rare not just for Apple but for smartphone makers in general," said a senior official at a wireless operator, who monitors sales. Analysts say weaker-than-expected demand for iPhone XR may mirror what happened with the iPhone 5c in 2013, where sales picked up the following year. Apple's higher-priced XS and XS Max models, released a month earlier, appeal more to tech's early adopters who typically fuel initial sales of new iPhones. The decision comes in the wake of a WSJ report earlier this week that claimed Apple has slashed production orders for its latest iPhone XS, iPhone XS Max, and iPhone XR models due to lower-than-expected demand. Part of the problem for Apple is that the iPhone 8 is apparently still hugely popular in Japan because of its affordability, given that it's cheaper than the XR and was still available when Apple launched the XS and XS Max. According to WSJ's sources, Apple suppliers have also resumed making the iPhone X, the 2017 model that Apple no longer sells at its own stores. If Apple plans to sell the older model in Japan, it wouldn't be the first time the company has produced previously discontinued models for regional markets where it sees sufficient demand for cheaper devices. The strategy also allows Apple to benefit from lower-cost components and depreciated production line machinery. However, supply chain sources who spoke to WSJ claim the resumption of iPhone X production is partly due to Apple's need to use OLED panels ordered from Samsung – panels that were previously earmarked for use in the iPhone XS and XS Max devices that have since been hit by swingeing production cuts. It’s simple economics: wages are stagnant, inflation is rising so fewer people can justify spending a months mortgage payment on a device or £60-£80 a month for a contract. If the price of iPhones keep going up, sales will go down. Simple. EDIT: Forgot about the Apple HomePod. I think apple is reaping what they have sown. I think they will be facing this issue worldwide to some degree. The prices are too high to justify the phones, financing (or leasing) masked the high cost to some degree but the Xs and Xs Max are so expensive, its a lot even if you finance them over two years. It more and more looks like Apple overplayed it's hand with this year's high-priced products. The iPhone XS and XR are not worth the upgrade for many over an iPhone 7 or 8 as the only things that are improved are the camera and the screen (for an almost 50% premium!). Even on an iPhone 7 you won't max out the processor or the GPU and I still think Touch ID is worth way more than face ID. Here in the Netherlands you'll be registered for having an outstanding loan if you buy a subsidized phone, making iPhones way less attractive for people who want to buy a house as the registration will cut thousands of euros from your maximum mortgage and will increase your rent. Just putting down € 1500 at once for a phone is not something a person does every day. Apple have bitten the hands that feed them with some outrageous price increases in recent years. Good. Apple is making products for the 1%. looks like shareholders are angry maybe with Tim Cook's greed, huh? What surprises is me that, despite Tim Cook being a brilliant businessman and obviously waaaay smarter/more experienced than me, even I know that Apple needs to come up with some kind of budget iPhone (example: a follow-up to the iPhone SE) to connect with more buyers overseas. They're not just selling hardware...they're also selling services and an entire ecosystem. That $349 iPhone SE purchase can also turn into AirPods, an Apple Watch, an iPad, etc. The iPhone is typically the gateway product. Give these people a taste of iOS. They really should put out a new "$499 or less" iPhone. PS I know that they're intentionally not putting out a cheaper iPhone because they're worried about a 0% increase in units sold year-to-year, so they focused on raising prices for each individual unit. I hear that, and I get it. I just worry that this is a short-term fix rather than a long-term solution to keep people invested in the ecosystem. You can't sell a phone with the XR specs at such a high price point and expect huge sales especially when the competition offers the same or better for less money. iOS is not enough to keep people loyal to Apple.